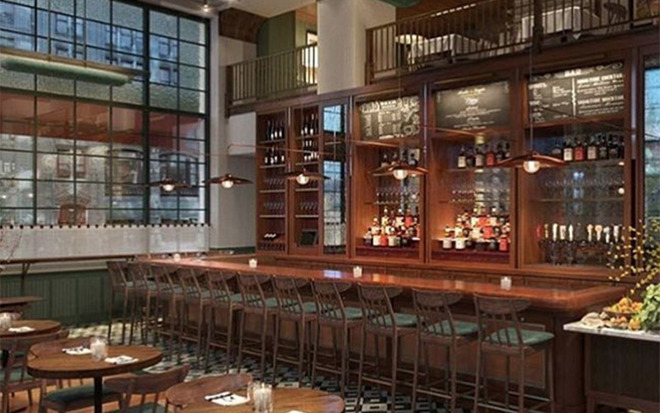 Famed New York City restauranteur Danny Meyer is outfitting floor managers and sommeliers at upscale eatery Union Square Cafe with Apple Watch hardware, a tech-meets-hospitality integration that could shape the future of restaurant services. The forthcoming rollout was revealed on Wednesday at the TechTable Summit in New York, where Meyer's Union Square Hospitality Group announced a partnership with digital reservation startup Resy, Eater reports. When Union Square Cafe reopens in October after undergoing some ten months of renovations, key staff members will sport an Apple Watch loaded with the ResyOS app. The platform, created to integrate reservations, mobile payments, point-of-sale and on-the-floor services, is programmed to communicate with a back-of-house system hosted by an iPad. With an Apple Watch strapped to their wrist, Union Square Cafe managers and sommeliers can be alerted to a variety of scenarios, from new seatings to orders to customer requests. For example, a floor manager might receive a notification when a VIP enters the restaurant or a guest waits too long for their order, while a sommelier might be alerted when a bottle of wine is ordered, the report said. Every feature within ResyOS is designed to streamline operations, cutting out unnecessary steps where possible with real-time communication tools. In another example, managers can request a guest's coat be readied at the coat room once their meal is finished. Maureen Cushing, co-founder of TechTable and USHG's VP of Technology, said ResyOS is "another way to listen and respond to our guests," likening certain app features to Uber feedback. On the consumer side of the equation, ResyOS lets diners to pay with Resy Pay, a digital payments solution that allows users to split the check and pay with their smartphones. Other features are in the works that will allow customers to add people to a preexisting reservation or tell ResyOS that they're running late by simply texting an automated service. Depending on its success at Union Square Cafe, the Apple Watch project could make its way to other USHG restaurants and beyond.